Cook the fusilli and broccoli in salted water until just al dente, drain, cool. 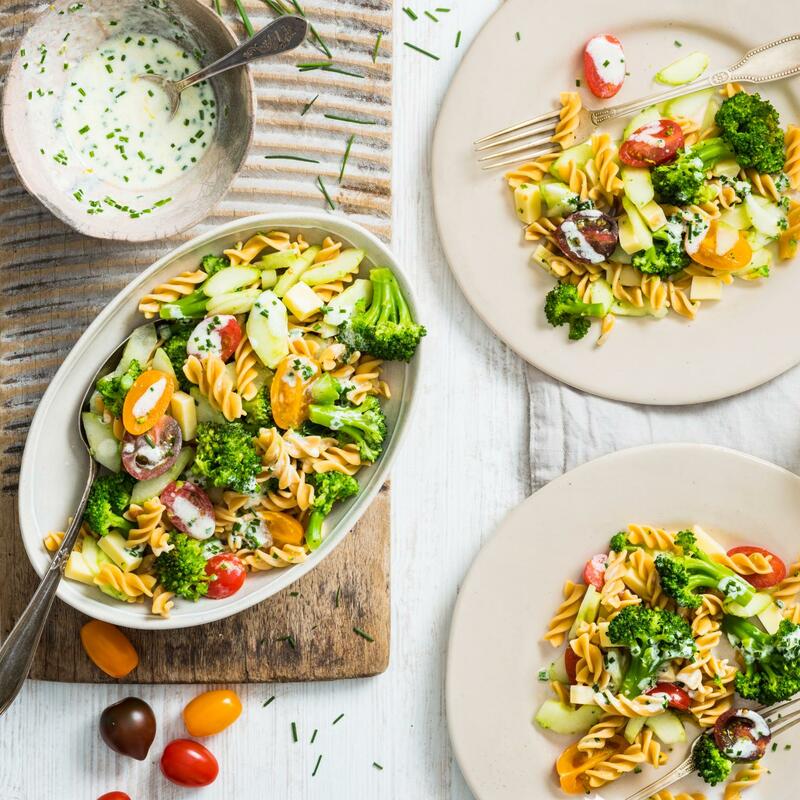 In a bowl, mix the fusilli and broccoli with all the other ingredients up to and including the Gruyère. Combine the lemon zest with all the other ingredients up to and including the yoghurt, stir in the chives, season. Mix the salad and dressing.